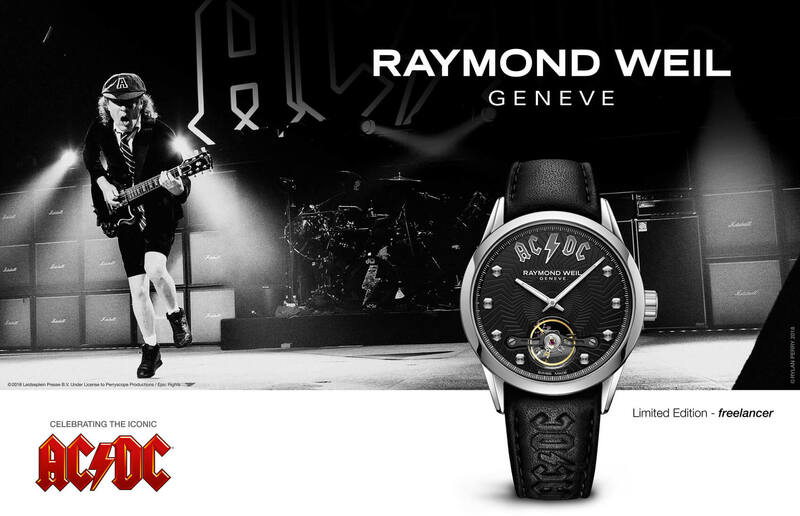 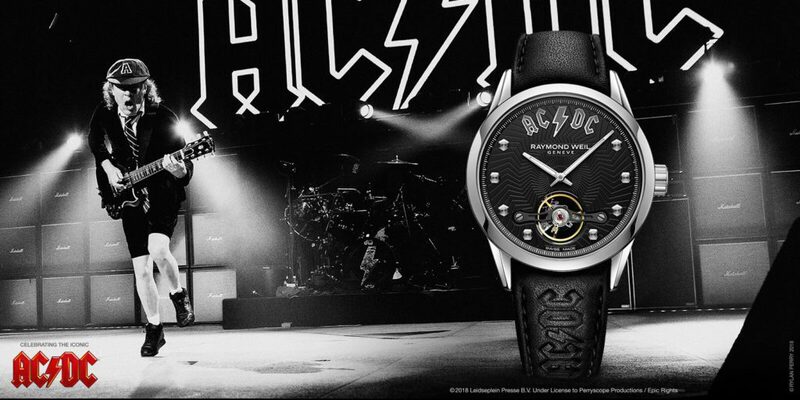 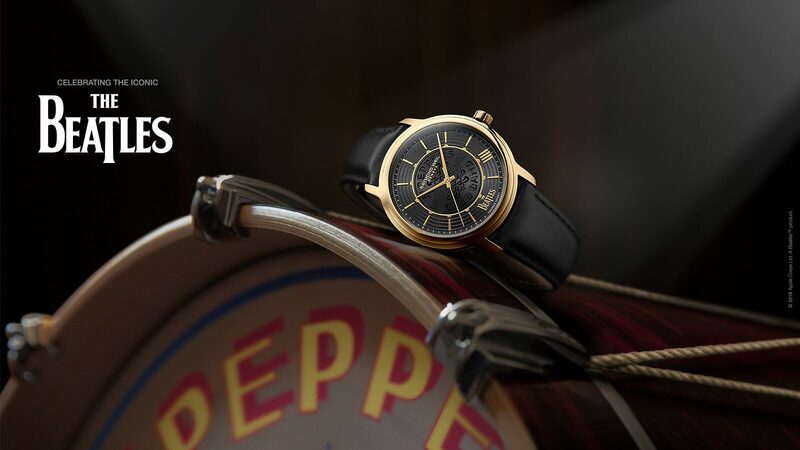 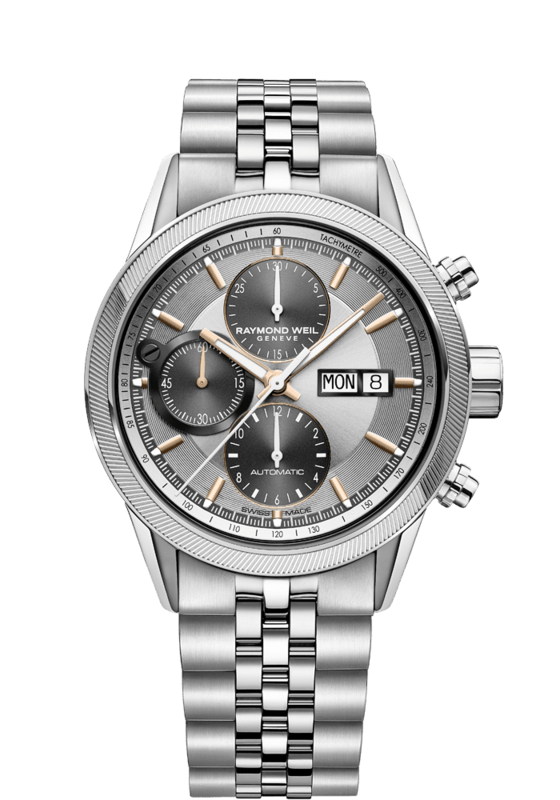 The freelancer excels in both style and design, featuring a 42mm steel case, engine turned bezel, sleek silver dial with rose gold PVD plated indexes, a screwed-down crown embossed with the RW monogram, and a chronograph complication, making it perfect for intense practices thanks to its robust construction. 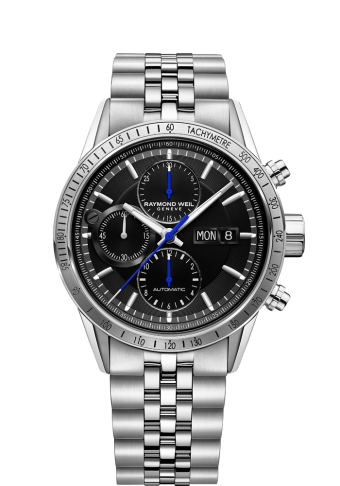 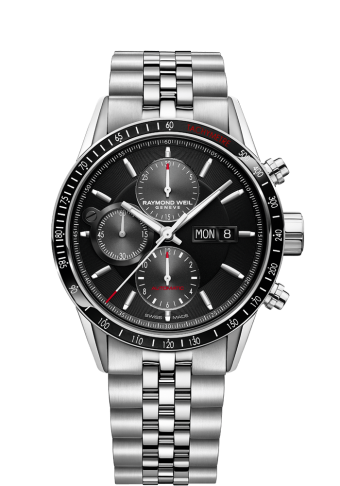 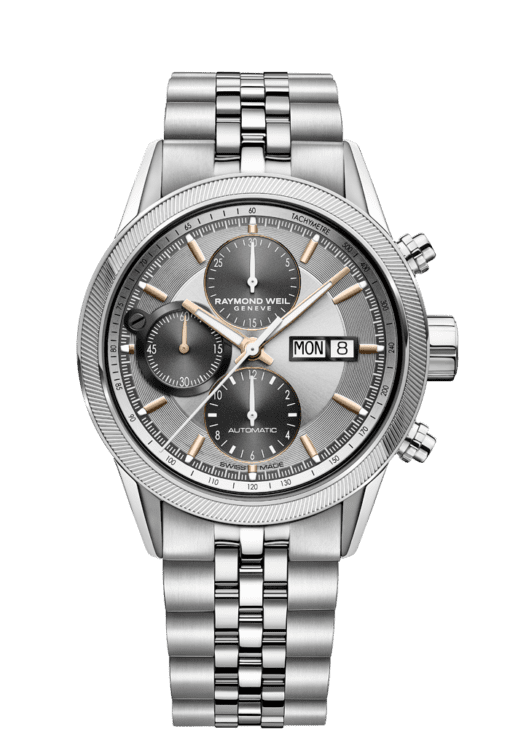 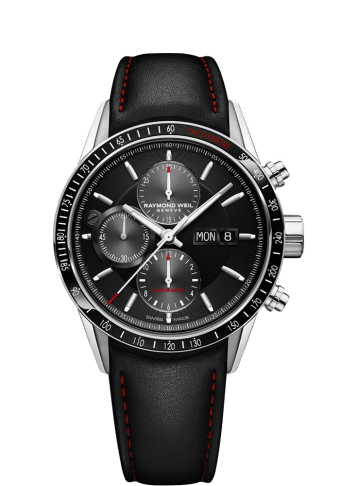 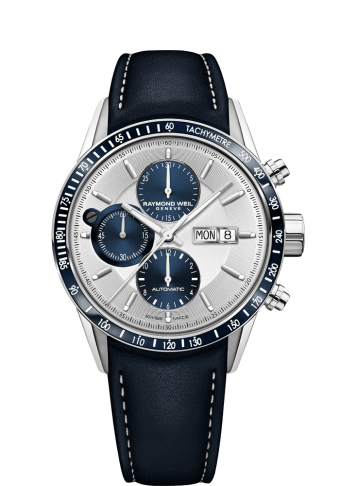 Redesigned to combine sophistication with a powerful look, RAYMOND WEIL’s newest edition of its best-seller, chronograph, embodies the freelancer collection’s free-spirit. 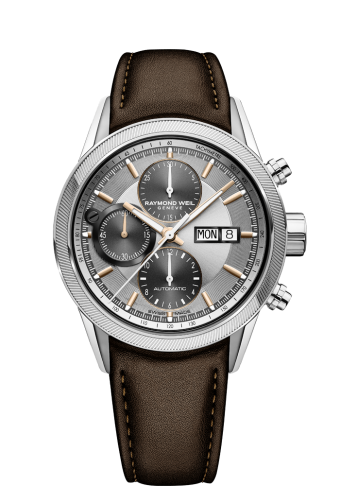 The freelancer chronograph combines sophistication with a powerful and extremely stylish aesthetic. 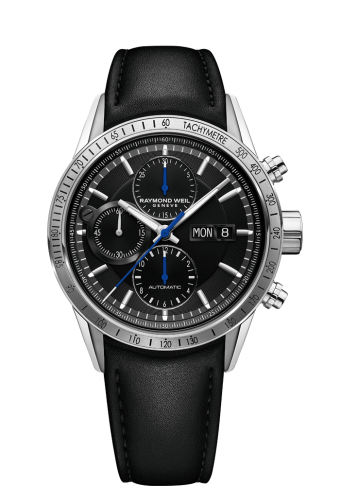 Equipped with a chronograph and day and date functions, the freelancer watch will tempt you with its smooth design. 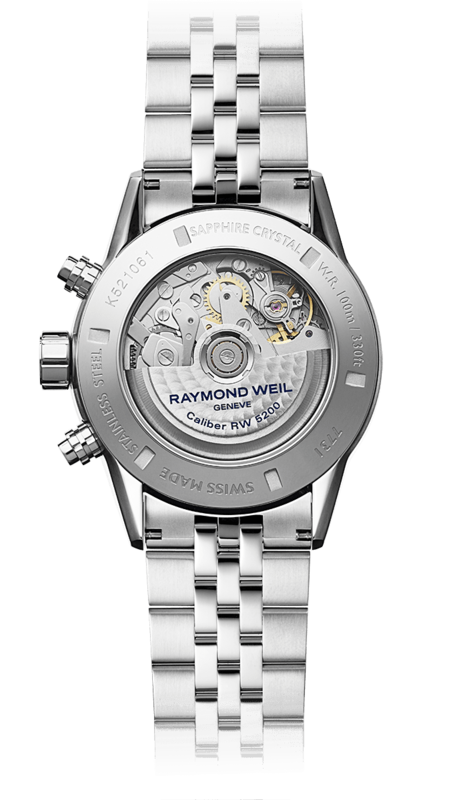 Powered by a mechanical self-winding RW5000 movement providing a 46-hour power reserve, this latest addition to the freelancer collection features a sophisticated silver dial and sleek stainless steel bracelet. 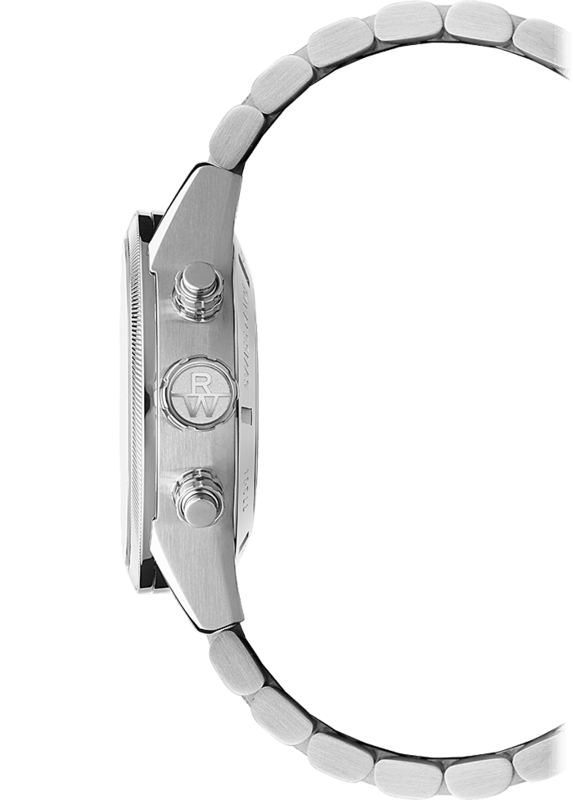 Its style is assured and it will be with you every step of the way, both throughout your sporting adventures and on special occasions.